This post may contain affiliate links. You can read my disclosure page for more information. I know that Rosé is perhaps considered a summer beverage, but it still feels like Augtober here in Texas rather than October so it’s still plenty warm. 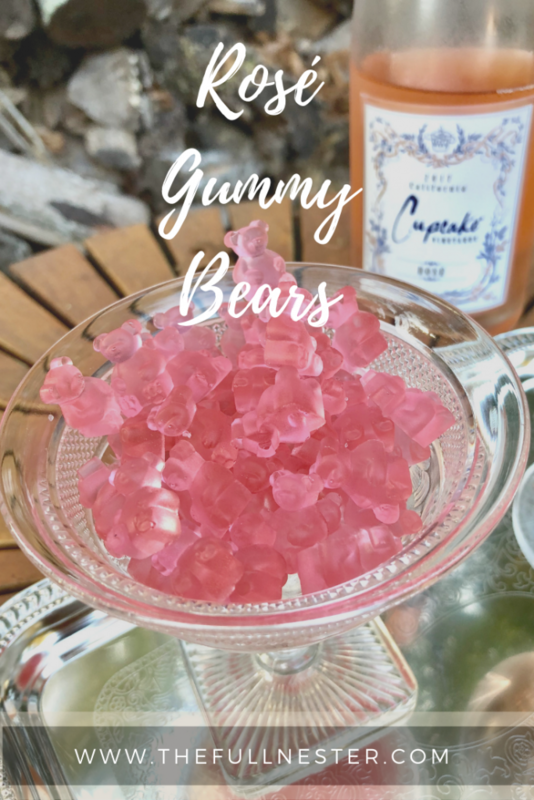 I have been hearing all about the popularity of boozy gummy bears and wanted to try to make them myself. I heard that one confectioner in New York that makes them had an insane wait list of thousands a while back. I think they’ve gotten caught up by now, but there’s no need to wait. You can make your own! And it isn’t hard. 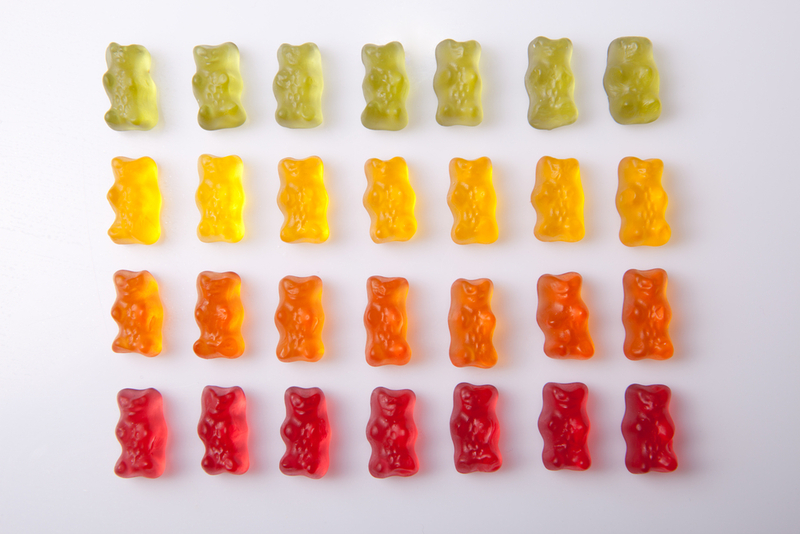 When my daughter was little she would carefully separate every bag of gummy bears she got by color and eat them one color at a time. 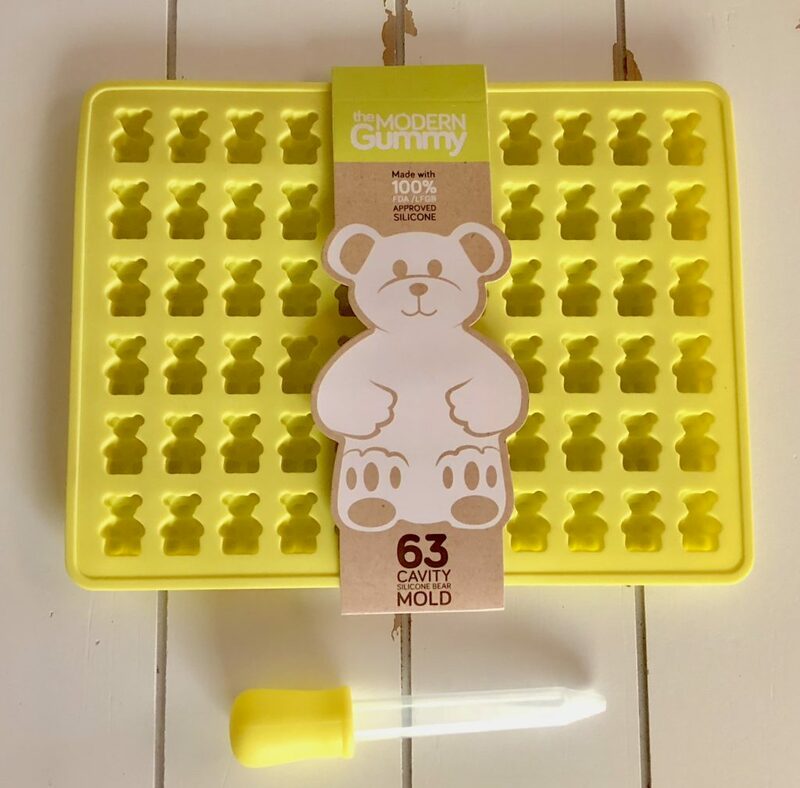 I got her a gummy bear mold for Christmas last year so we could make our own. 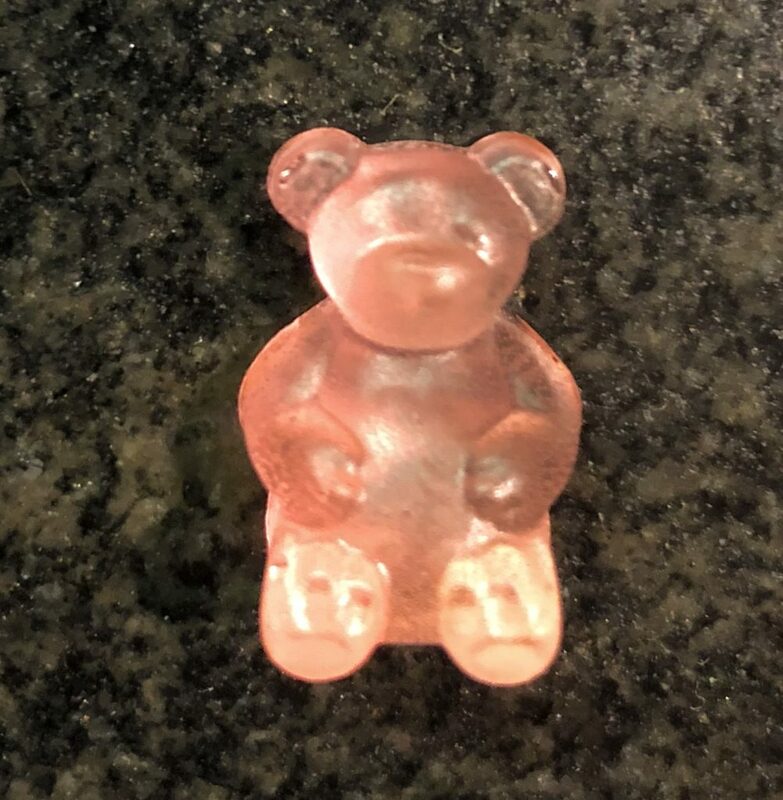 So I already had a mold to make the Rosé gummy bears. All I had to do was learn how to make them. I checked out several recipes online and finally chose this one from Kirbie’s Cravings. It seemed easy and didn’t include any hard-to-find ingredients. 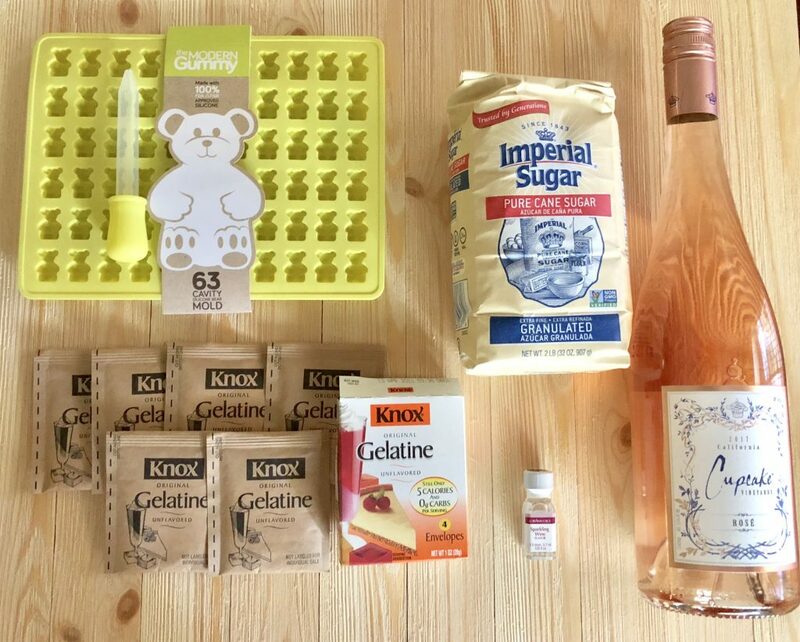 All you need is a gummy bear mold, Rosé, sugar, gelatin, some pink food coloring, and wine flavored oil. Some info about the ingredients. 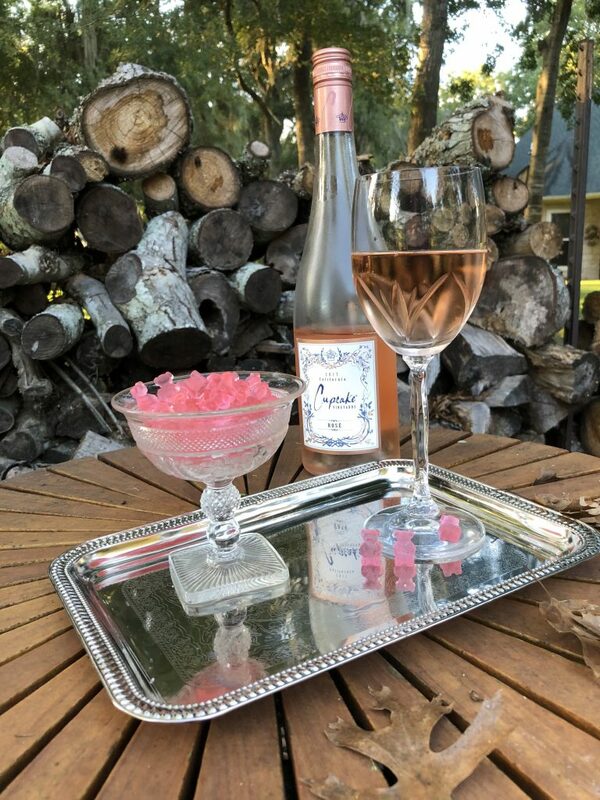 First off, with the Rosé, as the Barefoot Contessa Ina Garten advises, use one that you would drink. She doesn’t cook with a wine she wouldn’t drink on its own. Gelatin. Where do you find that? I first went to the baking aisle in the grocery store, thinking it would be there. It wasn’t. Then I went to the part of the store that sold canning products, thinking gelatin was what you use to make jams and jellies. But all I saw there was pectin. I wondered if pectin and gelatin were the same thing and Googled that in the aisle. They are not. Then finally the light bulb went off and I thought, Jello! Why didn’t I go to the Jello section first? (Duh. I’m usually a little quicker than that…) 🙂 I looked through the Jello offerings and finally saw the unflavored gelatin packets on the bottom row. So that’s where you find it. It is very inexpensive. The wine flavored oil. Why do you need that if you’re using Rosé? 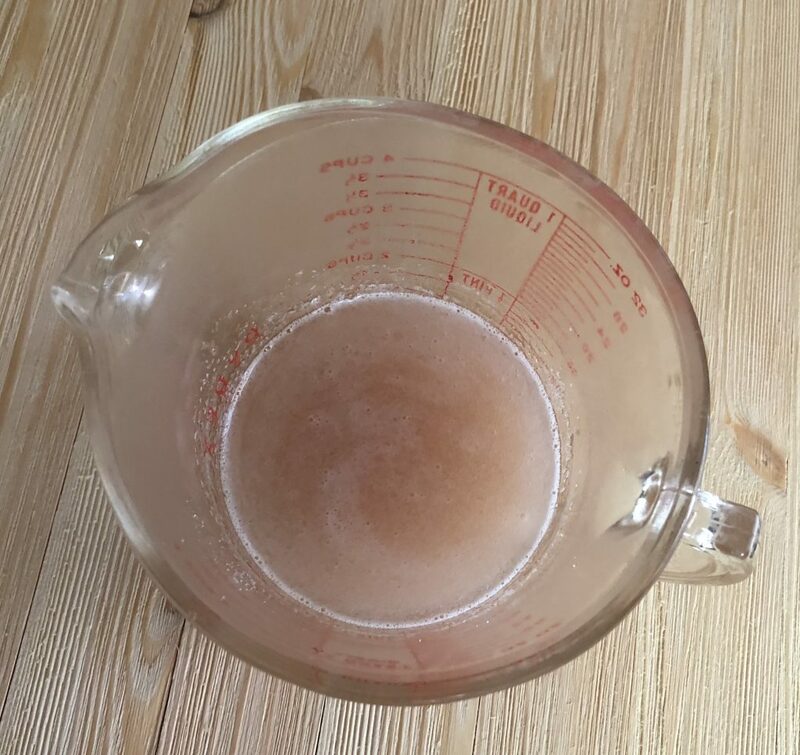 It really depends on the recipe but the one I used called for bringing the Rosé to a boil. 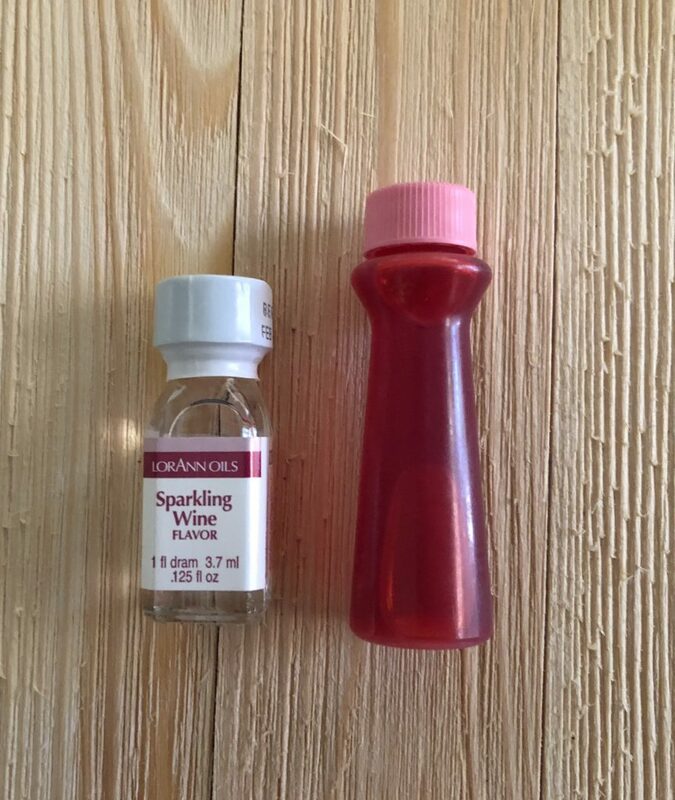 Boiling alcohol can de-boozify the flavor as the alcohol dissipates. So if you still want your bears to have that alcohol flavor, adding the wine flavored oil fixes that problem. It is readily available on Amazon. So that’s why on the pink food coloring. To make the bears, you heat the Rosé to boiling, which took about a minute and 45 seconds in my microwave. 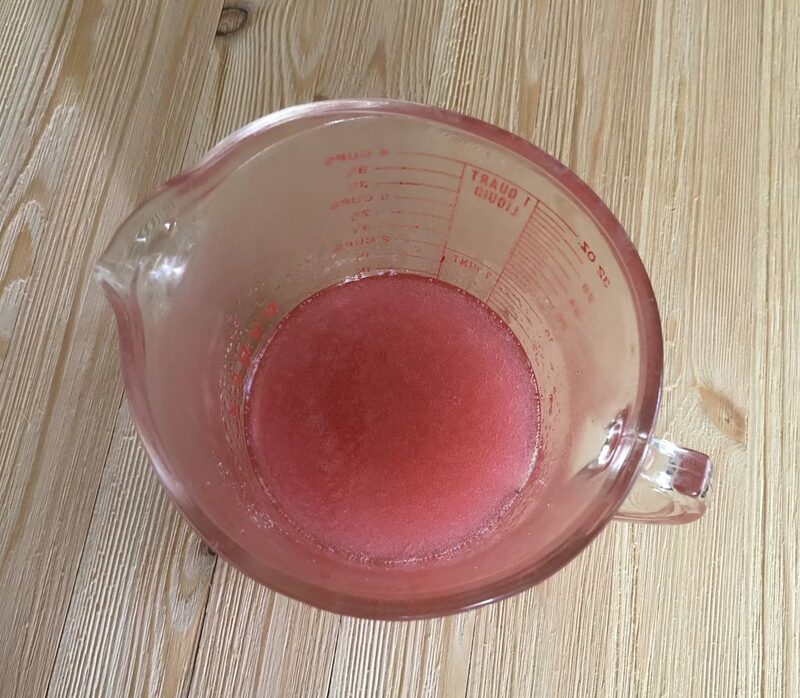 In a separate bowl, you will mix the sugar and gelatin until it is thoroughly combined. Then you add that to the heated Rosé. Then you add the drop of food coloring and a few drops of the wine flavored oil. Stir it until it is thoroughly mixed. Then you are ready to fill your mold. A lot of recipes I looked at recommended pouring the mixture into the mold then using an offset spatula to level it off. That method sounds messy to me. I prefer to use a dropper. My mold came with a little matching dropper. Most of the ones I see online come with a dropper. It is so easy to fill the mold this way. You have to work fast because the mixture begins to set up fairly quickly. Just use the little dropper to fill each bear. No mess at all. 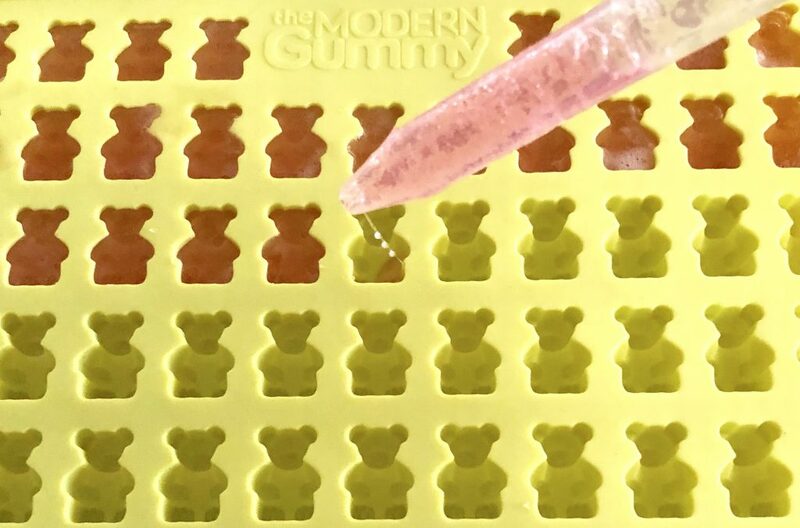 Be sure to place your mold on a tray of some sort before filling it because if you try to do it after you fill the mold it will be all floppy and you’ll have a mess on your hands. So placing it on a tray beforehand makes it super easy to lift the mold and place it in the refrigerator after you have filled it. 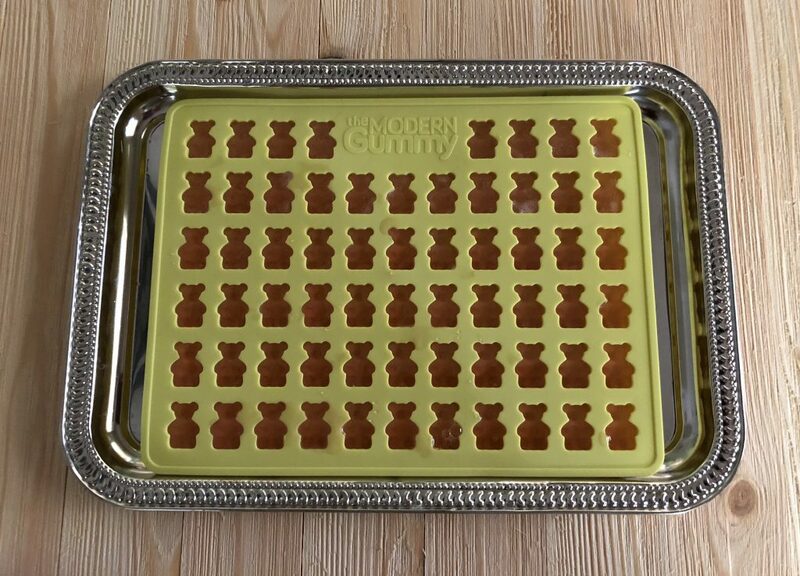 Give the tray/mold a gentle tap on the counter after you have filled it to dissipate any air bubbles. You will want to refrigerate your bears for at least two hours. This recipe makes enough to fill two trays of bears. I took mine outside for a late afternoon break. Now that I see how easy it is to make these, I can see making them with different flavors and colors for different occasions. You could do orange ones for Halloween and fall parties, red ones for Valentine’s Day, pastel colors for a spring party, the list is endless. You can experiment with different flavored alcohols to suit the occasion. I would pump those red Valentine bears full of Fireball. If you’ve read my About Me page you know I love Fireball. 🙂 I wonder if I can make mint julep flavored bears for my annual Kentucky Derby Party. Or maybe I need to find a gummy horse mold! 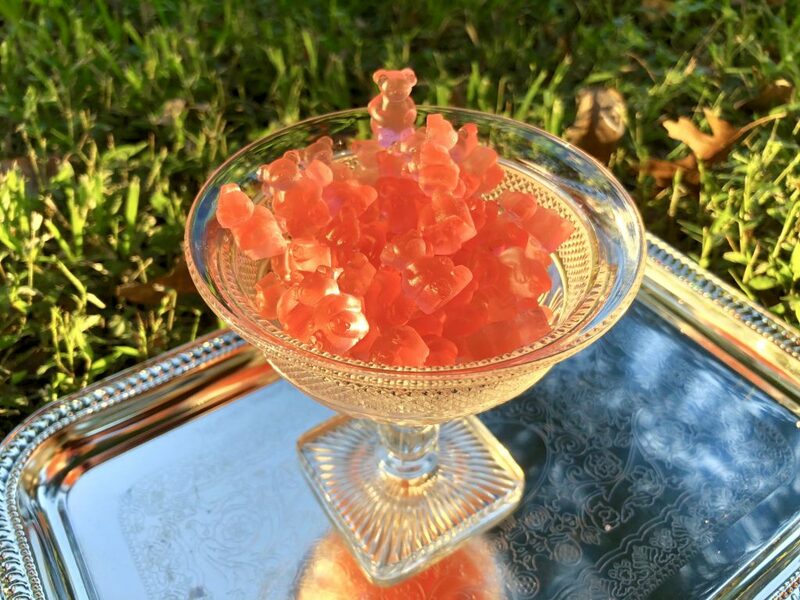 There is no reason why children should get to have all the fun with gummy bears. We can make our own grown-up version at home. No wait list! 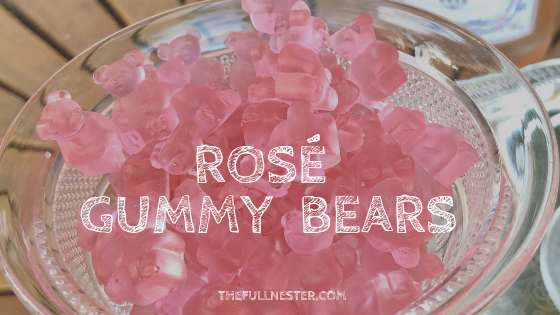 Rosé gummy bears could not be easier to make, are so cute I can barely stand it, and are delicious. And while less powerful, they are way more elegant than Jello shots. We’re sort of adults now. 🙂 Give ’em a try! I’d love to see how your bears turn out. Send me pics! And I’d love for you to follow me on Pinterest! Join my mailing list to receive the latest updates from The Full Nester. You have successfully subscribed for future updates. An email from me should be in your inbox very shortly. Thank you! Welcome to The Full Nester! I created this space for anyone who is experiencing the change that comes when your children leave home. 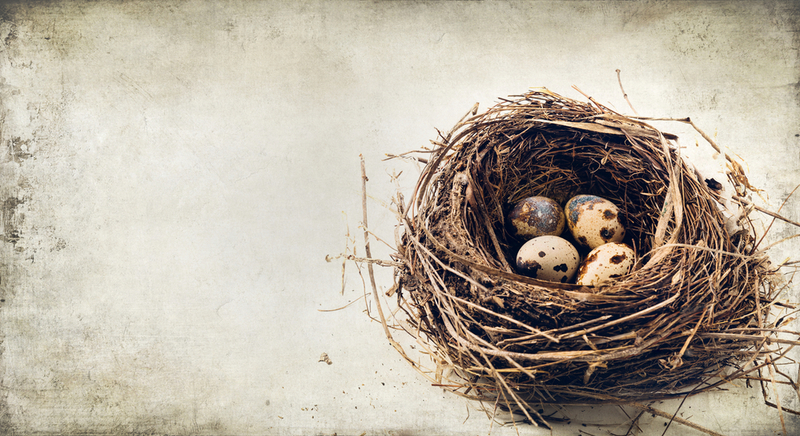 Your nest isn't empty, and you can fill it with all sorts of interesting things! I'm doing just that, and you can read more about it here!